Crafting pickups is an art. 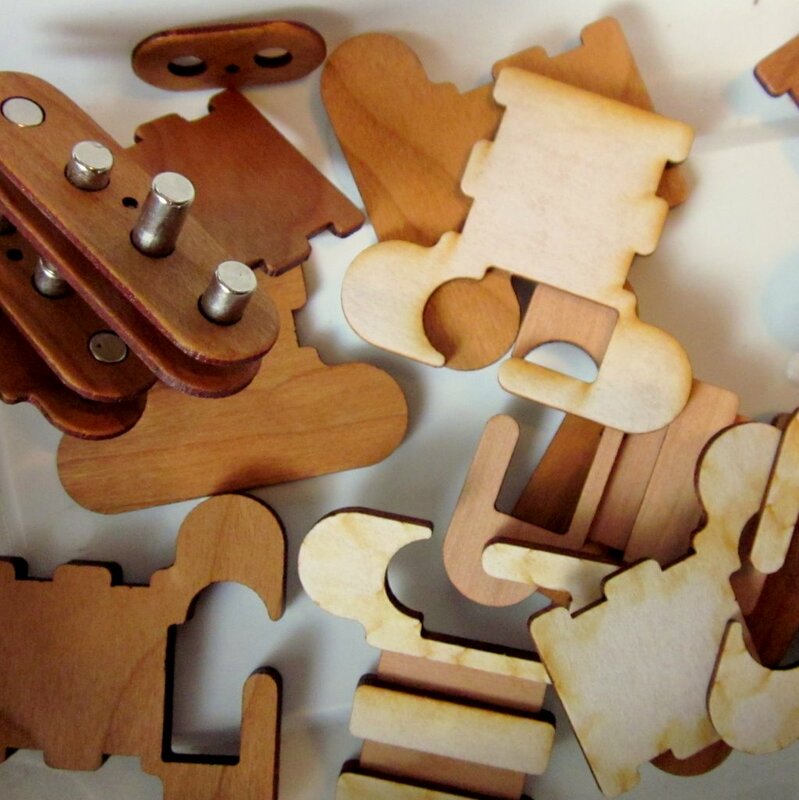 Each pickup is custom laser-cut from 1/16" cherry, a wood that naturally deepens and becomes richer in hue over time. I sand and lacquer the parts and let them dry in the Florida sunshine to start the color transition. The magnets are N42-grade neodymium, which means they're strong enough to warrant shipping with a warning label. 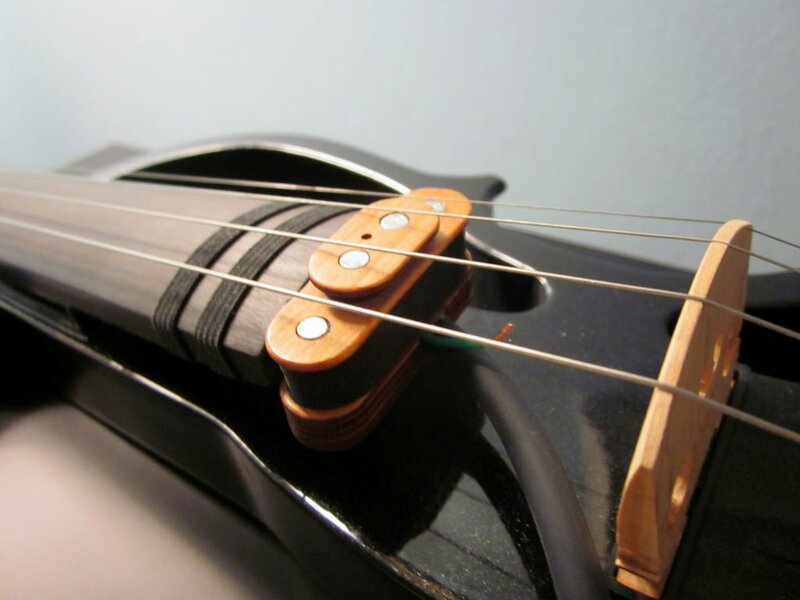 Strong magnets are necessary because the tension in violin strings is so high and the vibrations are so compact. I use two lengths of magnets and glue them at heights to achieve a good balance for a typical curved bridge and steel strings. The glue is ultra-strength, impact-resistant hybrid superglue, which I've found to resist cracks better than epoxy. 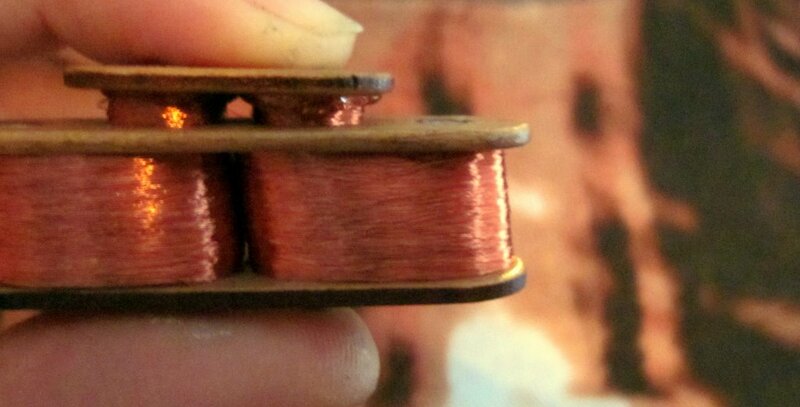 I wind each pickup with two sets of five thousand turns of 42-gauge enameled copper wire. 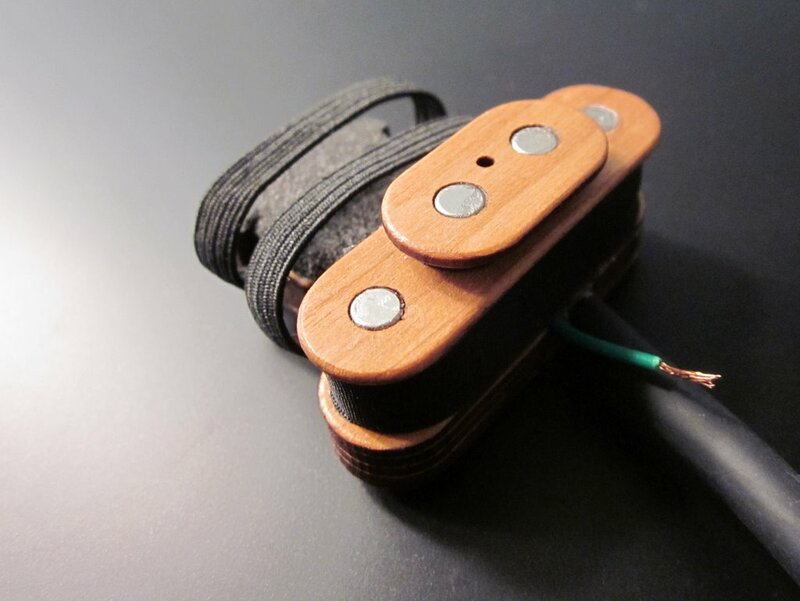 This is a several thousand turns less than most guitar pickups and leads to a small overall impedance, which means a preamp may be useful to maintain sound integrity. 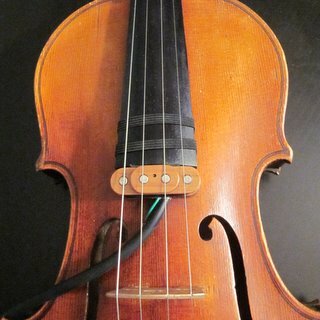 However, the lower inductance allows the violin's highs to pass through crystal clean. There are two main and two auxiliary coils of wire: Coils for the G and D strings are wired opposite to coils for the A and E strings, thereby canceling any background EM signals like the 60Hz hum of American electric grids. This is the effect of humbucker pickups in guitars. The two extra coils (may be absent on certain future models) on the D and A string magnets boost their signal and create a better balance. You'll notice two wires sticking out of the final pickup. The long one is obviously the instrument cable. I use a Planet Waves Classic-series cable with double insulation and good dexterity. The short wire is attached to the cable's ground wire, which I haven't found a use for yet, but it's conceivable that someone else will. Finally, I glue the remaining parts together, give the assembly a final coat of lacquer, wrap the coils with protective tape, add the sound-barrier insulation and elastic that will cushion the pickup against your violin's fingerboard, and give it a test run on my own fiddle!